A high tech upgrade to our ultramodern pen. 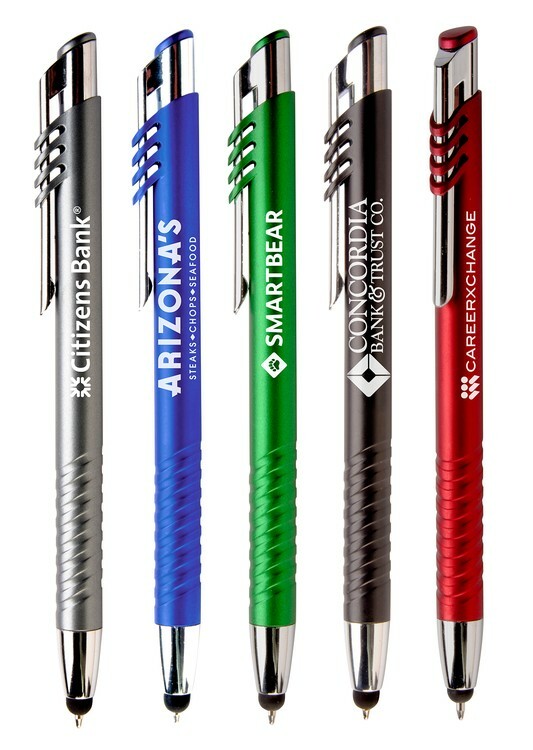 Sleek metallic barrels with futuristic accents and a handy stylus tip. Stylus is designed for increased connectivity with touchscreen devices. Deeply grooved grip and smooth blue writing ink.